As the original author to the first "Quick Guide to Premium Aircraft," I thought it was time to update the project to this post-2.0 era. However, as opposed to going back to that thread and sifting through all those posts and all on my own, I have come to you, the Community, for help. 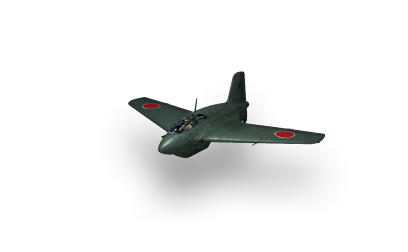 Starting with the tier VIII Premiums that you own, let's put our collective knowledge together and share our thoughts about these aircraft. Copy the text between the dotted lines and fill in the blanks as you see fit (some are multiple choice format too). 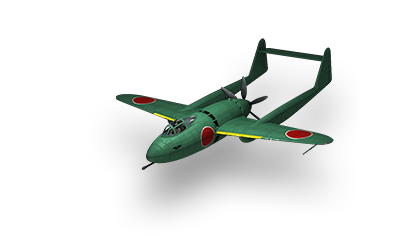 Availability: Common/Uncommon/Rare/Exclusive (Common is always available for purchase, Uncommon is out of Gift Shop rotation, Rare is the Shenyang JL-1A-37, Exclusive is the Tester Reward Aircraft). After that is done, copy and paste that back here and as a group, we will discuss the submissions for a final post. All submissions will receive a player contributor credit at the bottom of the post, once it has been entered on the new "Ver. 2" thread. Below is an incomplete sample of what the final, published entry could look like. Skill Level: Novice to Moderate. The best firepower in Tier IV (the next aircraft to get a 30 mm cannon is the Me 410, at tier VI). Nearly as fast as it's fully upgraded tech tree counterparts (rated at 473, the Tier IV Bf 110B is rated at 512 with the top engine). Good optimum operational altitude at 1500m, and aircraft retains good control ability above 3000m. Below average maneuverability and rate of climb (un-boosted). 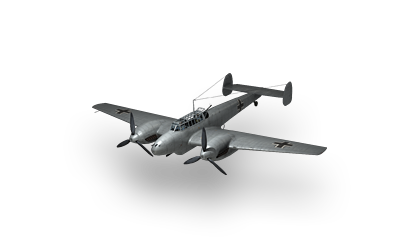 The mounted 7.92 mm MG-17 (1940) is shared with the Alpha Tester Gift German Heavy Fighter; Messerschmitt Me 210. The 30 mm MK-101 is unique to this aircraft. Once again, I would like to start with all of the current tier VIII Premiums and slowly work our way down to tier II. What do you say, want to help out? Edited by Quesnel, 06 March 2018 - 04:15 PM. The most powerful boost in the game; 300kph - 1000kph in 6 seconds, straight up. High energy retention - easily maintains 600kph in a shallow dive. Once out of boost, it can only glide - bleeds speed rapidly in a climb without boost. I haven't played this plane in a bit but its the tier 8 I'm most familiar with >.>; I usually fly the P51K tier VII or Boomerang tier V premiums. Thanks for your write-up SpiritFox and be sure to do one for the P-51K and Boomerang (just put those aside for now, until we reach those tiers). Skill Level: Moderate to Expert. Flies like: Tier VIII Messerschmitt Me 262. 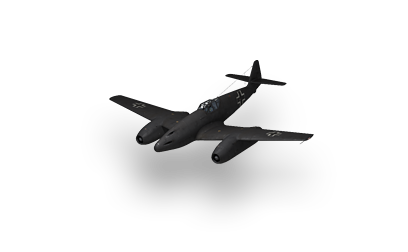 Fights like: Tier VIII Messerschmitt Me 262. Strong boost and excellent climbing/diving characteristics. Mix of 2X 30mm and 2X 20mm cannons. Multirole designation allows mounting of optional rockets and/or bombs. Decent energy retention, just below Me 262 in some areas. Currently the lowest price tier VIII premium available. Poor maneuverability in low altitude combat. Critical hits to engine severely reduce performance. 30mm cannons fire very slowly and overheat after a few shots. Average Credits Earned: 90,000 (with repair and rearmament costs deducted). Average Cost of Repairs/Rearmament: 30,000 Credits. Recommended Equipment and Cost: Engine Tuning III, Improved Covering III, Gyroscopic Gunsight II (total 1,275,000 Credits). Recommend Consumables and Cost: Pneumatic Restarter, Manual Fire Extinguiser, First Aid Dressing Package (total 11,000 Credits). Note: Rough draft, subject to discussion and change. Edited by Quesnel, 07 March 2018 - 06:38 PM. ... since no one is chipping in: I find the TL a little underwhelming overall. Its a better turnfighter than the 262 (which isn't saying much) but also a lot slower. It's overall a distinctly average performer, sort of like a tier 8 Dora and I tend to play it as such. I have mine upgraded with Lightweight Airframe and mount a Reinforced Control Surfaces consumable - I used to run with Radiator but I found the plane isn't as reliant on boost as the Dora and I do better in it making large sweeping turns rather than the boom in boost out of the Dora. I agree and will add the plane doesn't really shine in my hands, defiantly a few compatibility issues. Interesting, thanks for sharing this observation. Availability: Exclusive (subject to change). Flies like: A tier VIII Goodyear F2G. Fights like: A tier VIII Goodyear F2G. Phenomenal boost and almost unmatched climbing/diving characteristics. Very good heatcycle on mounted 20mm cannons. Able to operate above operational altitude with minor difficulties. Not suited for maneuvering combat. Large aircraft, when compared to contemporaries of same class. Average Credits Earned: 75,000 to 125,000. Average Cost of Repairs/Rearmament: 3,500 to 30,000. Recommended Equipment and Cost: Engine Tuning III, Improved Covering III, Control Surface Adjustment III (total 1,275,000 Credits). Pros: Exceedingly fast for a tier 7, very few aircraft beat it in a straight line with 12 seconds of boost to carry it there. Guns are very accurate and the 30mm cannon has a medium velocity. Cons: Turn time is below average for a multirole, but still enough to beat most heavy fighters. Energy retention is poor, bleeds speed in turns very quickly and without boost is somewhat sluggish. Average multirole altitude ceiling severely handicaps ability to chase heavy fighters and bombers, which are the two classes it can easily beat. Average Credits Earned: 50k-150k depending on usage of ammo type and payload. Average Cost of Repairs/Rearmament: ~10-25k depending on usage of ammo type and payload. 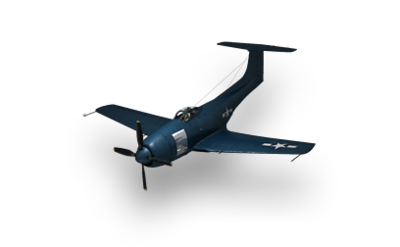 Recommended Equipment and Cost: Improved Covering (350k), Engine Tuning (375k), Aircraft Polish (250k), Total Cost: 975k credits. Recommend Consumables and Cost: Manual Fire Extinguisher (5k), First Aid Dressing Package (3k), Pneumatic Restarter (3k), Total Cost: 11k credits per set. Sadly only tier 8 prem that isn't on here that I own is the IL-10M and I'm keeping it under wraps what I like to do with it, so here's a tier 7 review instead. Edited by Reitousair, 10 March 2018 - 06:26 AM. Skill Level: Proficient to Expert. 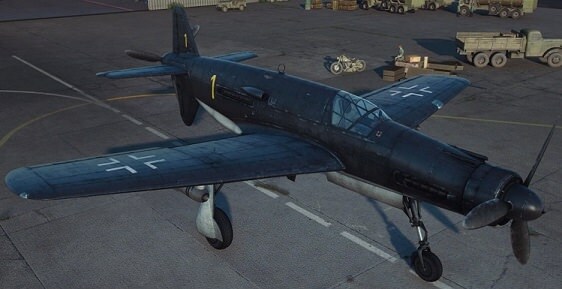 Flies like: Tier VIII Focke-Wulf Ta 152. Fights like: Tier VIII Messerschmitt Me 209 A.
Twin propellers provide a long, strong boost. 30mm hub cannon delivers high damage when a successful hit is made. Surprising performance versus same tiered bomber defenses. Serve penalties on maneuvering combat. Below average heatcycle on 30mm cannon. Average Credits Earned: 125,000 to 150,000. Edited by Quesnel, 21 March 2018 - 04:12 PM. I am the same way (you can still write up something and just "price out" some effective suggestions for them). About the Pfeil - what's your opinion on the bombload? It carries more explosive power than the equal tier Me329 German Ground Attacker. Does that make it an effective dive bomber or is the bomb reload too long to be truly effective? By the numbers, the potential is there. However, the reality of effectiveness and survivability have yet to be tested and displayed. I had an awful first flight in the 335 when I tried to use it as a pure vertical fighter. Second flight was waaaaaaay better in a traditional Heavy Fighter role with a secondary ground attack. Its an interesting airplane: its bombload is powerful but making use of it is a challenge because you're so bloody fast. Not fast enough to escape a 262 though, which has been my worst nightmare in the Dornier so far. Firepower is meh, but its serviceable. Bomb reload is 100s. My second battle I used it as a schnellbomber and it seems to function reasonably well in that role - I can see it being able to solo Missile Bases. More games required. It helped me unlock the XF15C, which I'll try out over the next few days. 335 bombload is adequate to flip a cap that's close. Down low you are really at a dis advantage. High altitude performance is excellent, I have taken mine up to 15000 and it flies up there at about 200mph without stalling. Nobody but another 335 can get you. 335 can run down RB-17s easily even at max altitude. Just make sure you don't run out of boost, boost is life. Also, I believe the climb rate on this plane is phenomenal, I have climbed out of danger on several occasions. It's also the first plane I have found you can kill a bomber flight, dive to a airbase and repair, and be back up at altitude to take on the next bomber flight like you never left the area. Very nice. On most planes it feels feels like something is holding them back, as if they had a anchor dragging the plane down. The 335 does not suffer from this issue. It's fast, very fast, and you can over run planes very easily. I like this plane a lot. It's well worth putting in the time to acquire it or doing your best in the missions and finishing the missions you can't with tickets. You won't be sorry. Edited by comtedumas, 27 March 2018 - 12:09 PM. Thanks I got it and the XF15C as well and have really enjoyed the Dornier so far. The bombload is a thing of beauty (especially since I have my BV215.02 pilot in her and he has Demolition Expert) and I really did solo a missile base in it. After my first disaster, my next two games were both 12k+ battles. Her roll rate is high enough that I can track light fighters a lot better and her armaments make killing them a lot easier than the 262. And as you said, her climb is phenomenal. My main point of consideration now is whether I should slap an Improved Radiator on her, stick with the Reinforced Airframe or go with Improved Flaps. The Flaps would allow me to turn better - because I run Engine Tuning and Polished Covering with Aerodynamic Expert, I have a lot of acceleration in pocket if I need to slam on the boost in a hurry so slowing down with the flaps to increase my turn would enable me to hang with a hard-maneuvering fighter at mid-range long enough to put him down instead of having to Zoom away. More importantly, it makes dive-bombing and pouncing on low-flying planes more controllable. The Improved Radiator is a Focke-Wulf schtick. Since the Pfeil has such an incredible climb rate, putting a radiator on would extend my boost endurance by allowing me to increase boost recovery by idling the engine during the dive in on target. If I'm using her as a dive bomber or am hunting or maneuvering hard, then I'll be idling a lot and having the radiator would take advantage of that for a little extra Boost recovery. Reinforced Airframe just straight up makes her more durable and helps lower the chances of an engine crit while I'm hauling [edited]out of dodge.